Denial is not a river in Africa - but it is, nonetheless, an ugly thing. Yet that is precisely what the world’s superpowers are all engaged in – ugly denial. All of them: the United States, Russia, China, Japan and the European Union all together telling the world a big, fat, ugly lie. They all are saying- almost in a ridiculous unison – that they are NOT in competition with one another and have NOT enjoined in another space race. Rubbish! Because – they ARE! Why would they race and why would they lie about it? As you might expect, the reasons for the lie is complicated. But the reasons for the race are not. 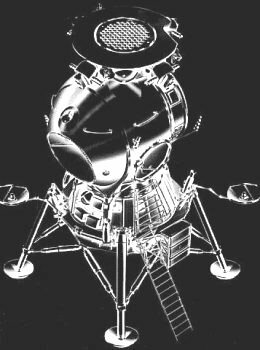 Shown in this picture is the lunar lander that lost the 1960's space race - the Russian LK, or 'Lunniy korabl' . It never flew. To read more, click here for QUANTUM LIMIT's detailed review.